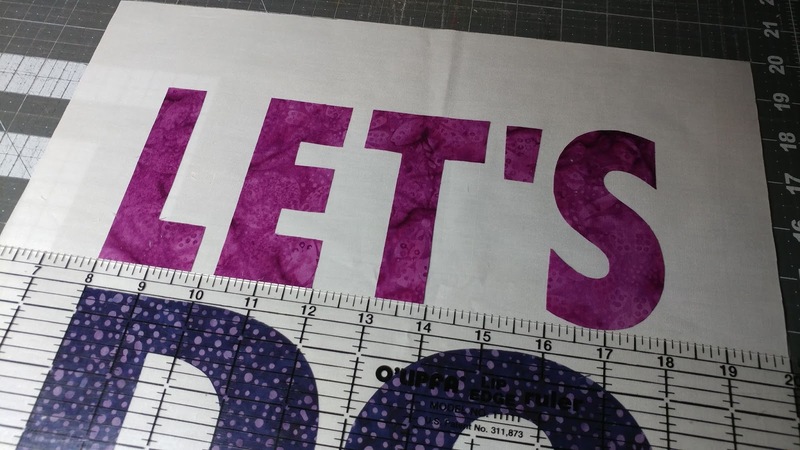 Slice of Pi Quilts: LET'S DO THIS! 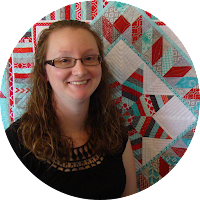 In case you missed the announcement on my last post, I am going to have a booth at Quilt Market this spring!!! It feels like a huge commitment (IT IS! ), and a dream that I can't believe is coming true! It's both exciting and terrifying at the same time. And there's so much to DO! And that DOING is what's been on my mind lately as things are starting to be set in motion. 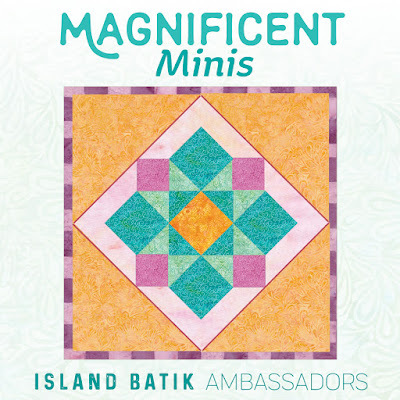 I can't even pinpoint when or how the idea for this mini quilt happened. It just did! 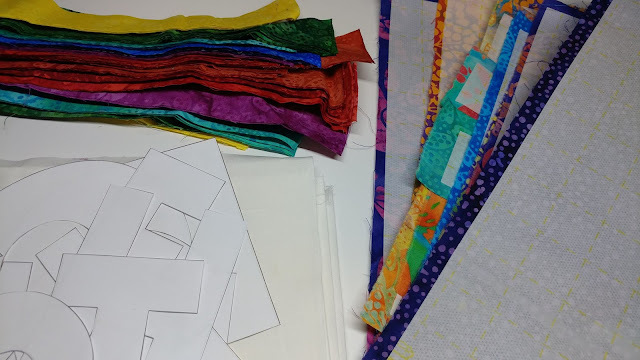 When digging through my Island Batik stash, I found a stack of fabrics that already had Lite Steam-A-Seam 2 fused to them, and I also found a bunch of 1 1/2" strips leftover from making my Party Pop quilt. I mocked up the saying on my computer to make the words the size I wanted (the letters are 4" tall), then printed them out as outlines (thank you WordArt!). I definitely could have used my Cricut for this, but I was lazy. Wouldn't this have been so easy to do on a Cricut Maker though?? Still on my wishlist! 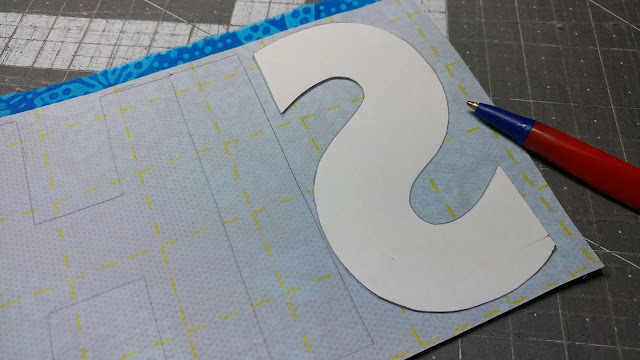 Instead, I was old school and traced the letters onto the fusible and used scissors to cut out the letters. 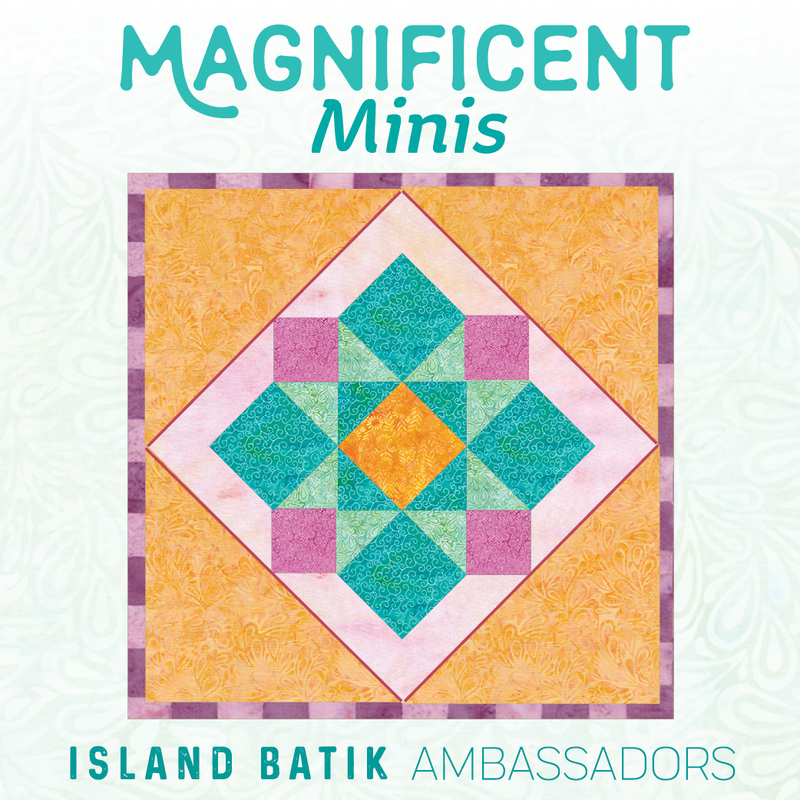 For the background, I used the Island Batik solid white. I love using Lite Steam-A-Seam 2 for fusing. 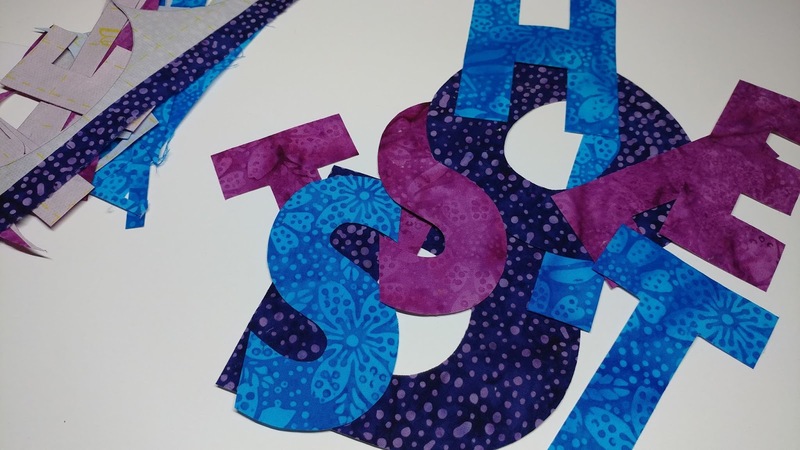 After removing the paper, the pieces are tacky, so you can reposition them easily, and they stay put when you move the piece to the ironing board! I did not applique around each letter. 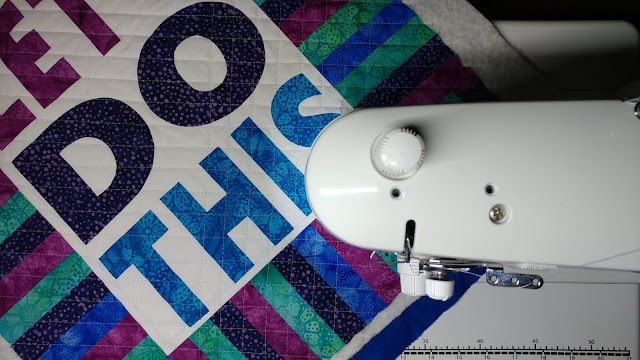 I decided that the quilting over the top of the letters would be enough for this mini quilt that will primarily be used as a wall hanging. 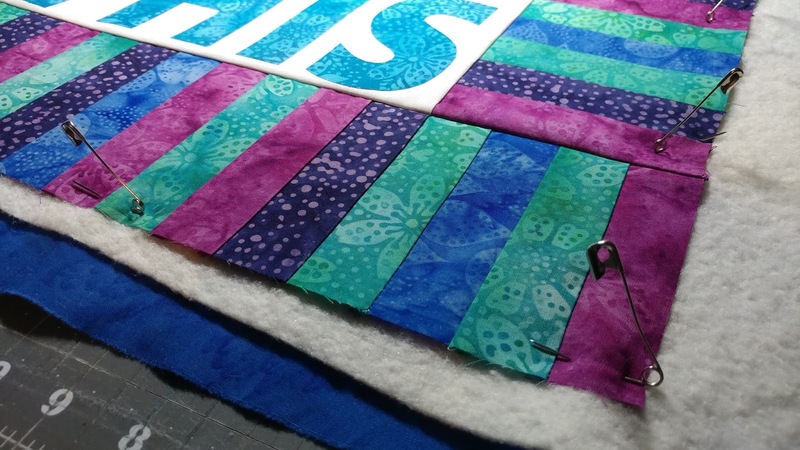 I originally sewed all the colors of strips that I had, but after one strip set, I realized I didn't love it. 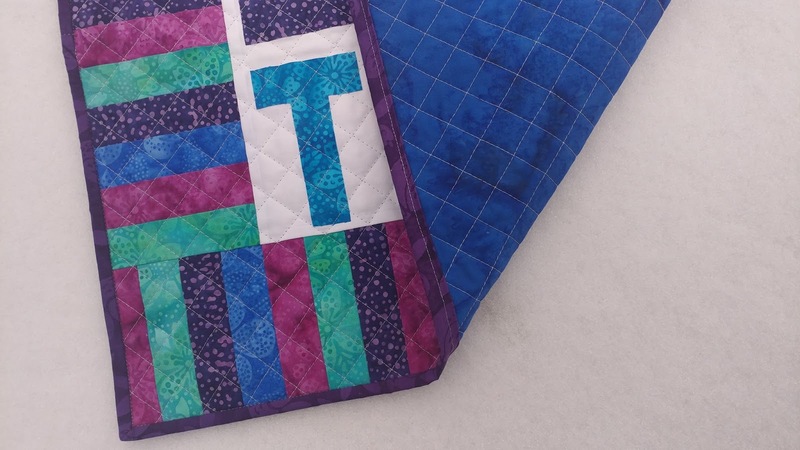 This mini quilt is for ME, so I decided it was best to stick with colors that felt ME. I tossed the red and yellow colors and just used the purples, teal, and blue. SO much better! Since the strips finished at 1" wide, it was easy to find a good size for the center panel. 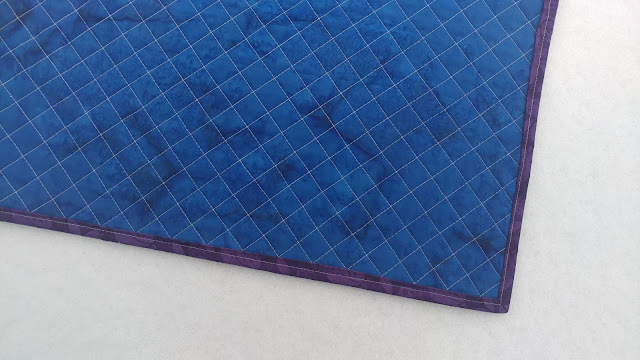 I pin basted the quilt using a saturated blue Island Batik basic called Blueberry and Hobbs 80/20 cotton batting. I just received a pack of neutral Aurifil threads this week, so naturally I had to pick one to try out! This is 50wt Dove #2600. Such an amazing light gray - almost silver. I want to use it for everything now! I used my Hera marker to draw a few lines across the sandwich at a 45 degree angle so I would have a guide to get started. Then I just used the guide on my walking foot to space the lines a little less than an inch apart. I love the texture that crosshatching creates! 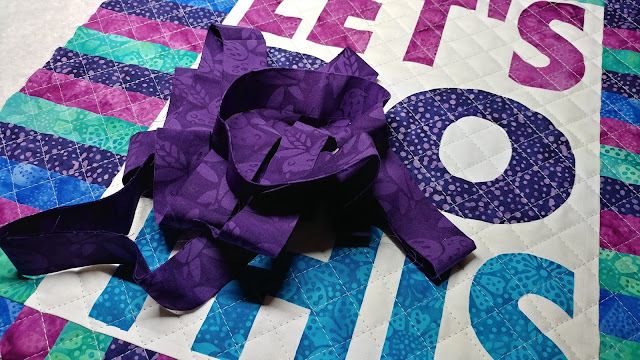 I found *just enough* purple binding in my stash leftover from making my Moonrise quilt! (Seriously, there was just 6" of extra leftover!) Of course I put the binding on by machine (tutorial here). 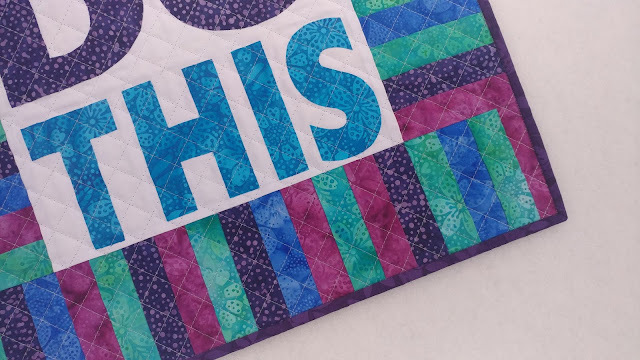 It's all exactly what a quilt made for yourself should be! This quilt finished at 19"x22". 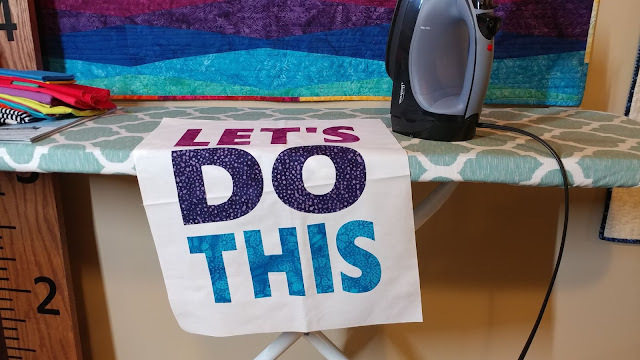 I'm going to hang this up right at the entrance to my sewing room so I will see it each day for motivation! 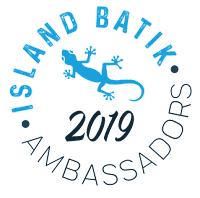 Be sure to follow the Island Batik Facebook page to see what the other ambassadors are making this month! 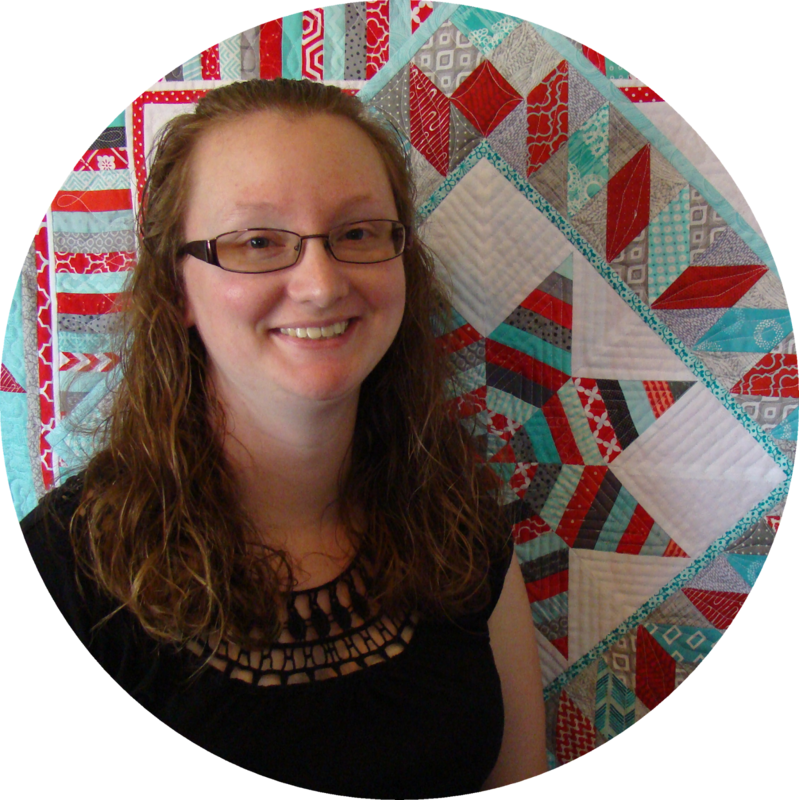 And please pop over to the Project Quilting page and vote for your favorite quilts there! The next challenge will be announced on the 17th. You should join the fun! Okay 2019, LET'S DO THIS! Linking up with Project Quilting 10.3, Main Crush Monday at Cooking Up Quilts, Monday Making at Love Laugh Quilt, What I Made Monday at Pretty Piney, Linky Tuesday at Freemotion by the River, Midweek Makers at Quilt Fabrication, Wednesday Wait Loss at The Inquiring Quilter, Needle & Thread Thursday at My Quilt Infatuation, Finished or Not Friday at Busy Hands Quilts, Can I Get a Whoop Whoop? at Confessions of a Fabric Addict, TGIFF at Lisa in Port Hope, and Friday Foto Fun at Powered by Quilting. Love your mini and it should definitely motivate you get things done. Great piece for both challenges. This is so awesome. I voted for you. I really like this - motivational and pretty at the same time! What a great reminder! Walk in the sewing room and get busy. Awesome PQ Challenge project! 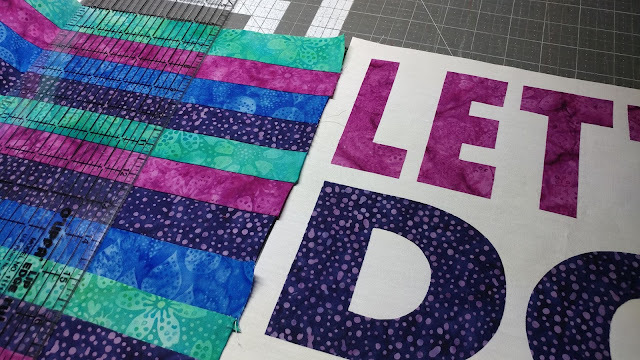 I love "two-fer" projects, especially when they are bright, motivational and super fun like yours!! 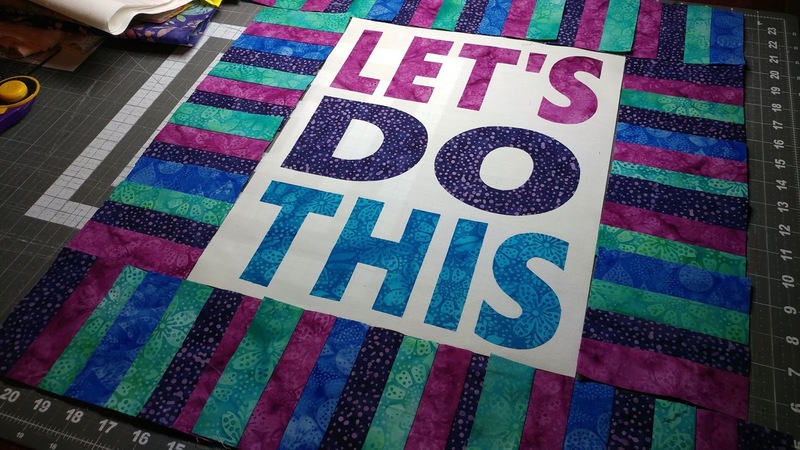 Best of luck at Quilt Market...very exciting!! Love those colors!!! I am also a big fan of cross hatch quilting. 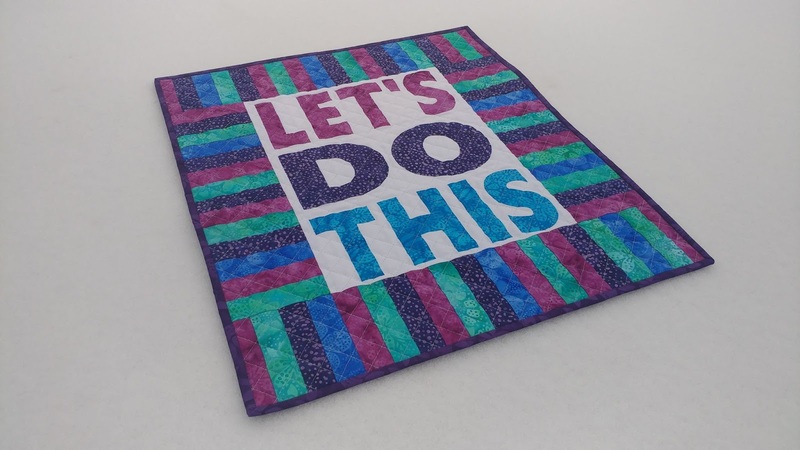 Good for on going for your goals this year and good luck at Quilt Mart! 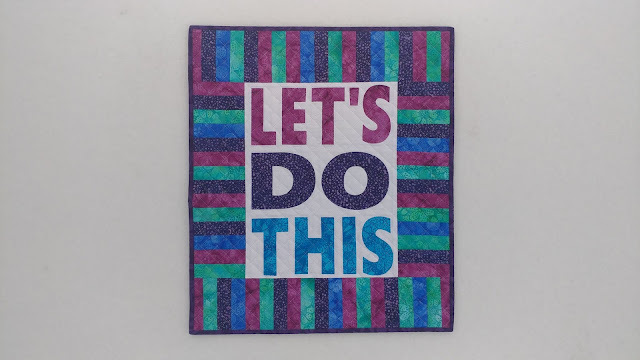 What a fun and motivaitonal mini quilt! I have been thinking about Cricut or Brother but haven’t made the leap. I do think it will happen, but I am also looking for a machine. Will spend some time at Quilt Con on this (I hope). This is an awesome mini! Very motivational! Congrats on your booth at Quilt Market! Exciting and scary at the same time! 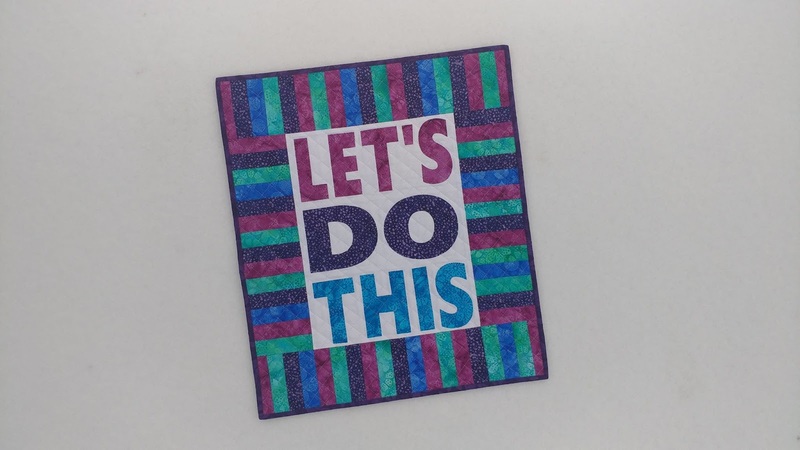 I love the colors you used in this one and what a fun message too! 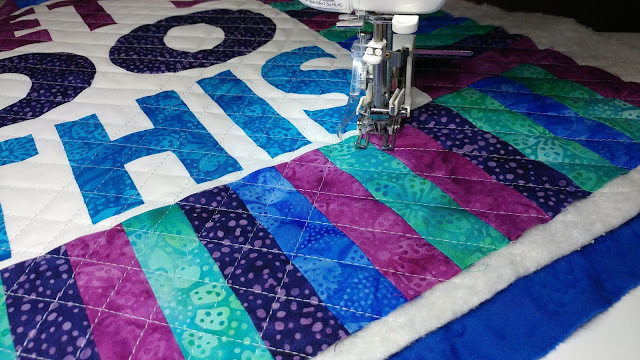 Great job on the diagonal grid quilting. It's pretty perfect! That's a fun quick little project! Congratulations on your booth and on being an Island Ambassador! You are rockin' it! Those are my favorite colors too! 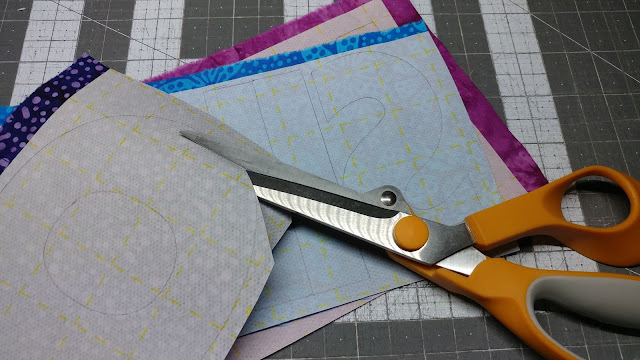 That mini is the perfect inspiration for your sewing room. Congrats on your booth at Market. Fingers crossed for you! Thanks for sharing on Wednesday Wait Loss. 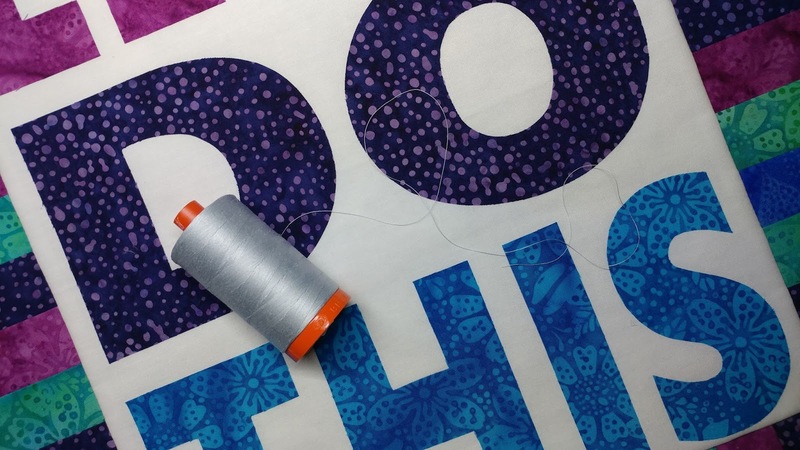 You know I love this one :) I can't believe you haven't had Aurifil 2600 before! I've almost emptied a cone of it in a little over a year, lol. It's soon time to buy another one!